Recognize text in files of various formats. Support various output file formats. Support text in various languages. VeryPDF Cloud OCR API is a cloud service API provided for developers. Developers can call the API to recognize character with (Optical Character Recognition) engine deployed on VeryPDF Cloud servers. The OCR engine supports input file formats of PDF, BMP, PNG, TIFF, JPEG, PCX and DCX. It can output the recognized text in file formats of HTML, RTF, DOC, XLS, and TXT. VeryPDF cloud service is distributed on multiple powerful servers offering fast and stable cloud services. 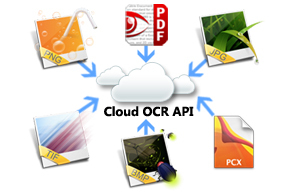 VeryPDF Cloud OCR API takes advanced OCR technology to make the recognition result accuracy rate up to 99.99%. 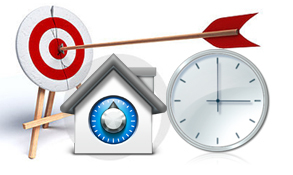 The OCR engine accept file in formats like PDF, BMP, PNG, TIFF, JPEG, PCX and DCX. Developers can submit their files in any one of these formats and retrieve the recognized text from VeryPDF Cloud OCR API. The API supports output file formats of HTML, RTF, DOC, XLS, and TXT. After processing submitted image files, the recognized text will be sent to the client in a specified format. 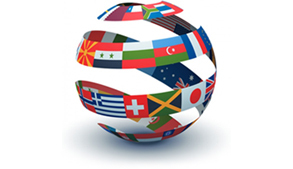 The OCR engine support not only English text as a default option, it also supports recognition of other languages like French, German, Italian, Spanish, and Portuguese. It supports almost all the main languages. Support multiple input file formats: PDF, BMP, PNG, TIFF, JPEG, PCX and DCX. 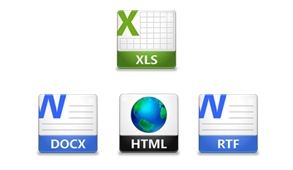 Support various output file formats: HTML, RTF, DOC, XLS, and TXT. Use precise layout reconstruction technology to arrange the recognized text as the original layouts as in images. The layouts can be retained in Word (.doc), Excel (.xls), HTML and RTF. Be able to reconstruct tables in images and reconstruct the tables in returned files in Excel (.xls) and HTML.